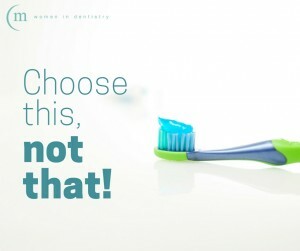 With so many options available, it can be hard to know what’s the best toothpaste for yourself and your family. Luckily, we’re here to break it down for you! Consider this the ultimate guide to the best toothpaste the next time you find yourself in the hygiene aisle. Though fluoride-free toothpaste has gained popularity in recent years, it’s important to consider that toothpaste with fluoride does help combat plaque and decay. If you’re opting for fluoride free toothpaste, it’s a good idea to ensure you’re getting fluoride elsewhere—for example, tap water. Whitening toothpastes are marketed for cosmetic purposes with the goal of providing a brighter smile. Some whitening toothpastes rely on the use of fluoride while others incorporate peroxide or an enzyme system. Ask us what the best whitening toothpaste for you and your family is at your next appointment. Have sensitive teeth? No problem! There are many different kinds of toothpaste designed especially for you. Whether your teeth are naturally sensitive or its come on as a part of the aging process with receding gums, ask us about which brands may be best at your next visit. If you’re a current smoker or one trying to kick the habit, consider purchasing special toothpaste designed for smokers. These types of pastes are often more abrasive than typical toothpaste to help fight surface stains and plaque buildup. If you have more questions about your oral health, or about our toothpaste guide, feel free to ask us at your next visit to your dentist Melbourne CBD. We look forward to seeing you! Contact us today to schedule your time.